Would you pay $1.4 million or more for a car you can’t drive? The iconic Bond car, one of just 10 produced and the only one to be sold publicly, will be auctioned Feb. 18 in London to celebrate release of the movie on Digital HD, Blu-ray and DVD. It is expected to fetch from 1 million to 1.5 million British pounds, which translates roughly to $1.44 million to $2.17 million. Proceeds from the auction, which comprise 24 lots of memorabilia from the film, including the laptop computer used by Q, will go to Medecins San Frontieres (Doctors Without Borders), the United Nations Mine Action Service and other charitable organizations, according to Christie’s. Unfortunately, you wouldn’t be allowed to cruise the streets and highways in your new car. 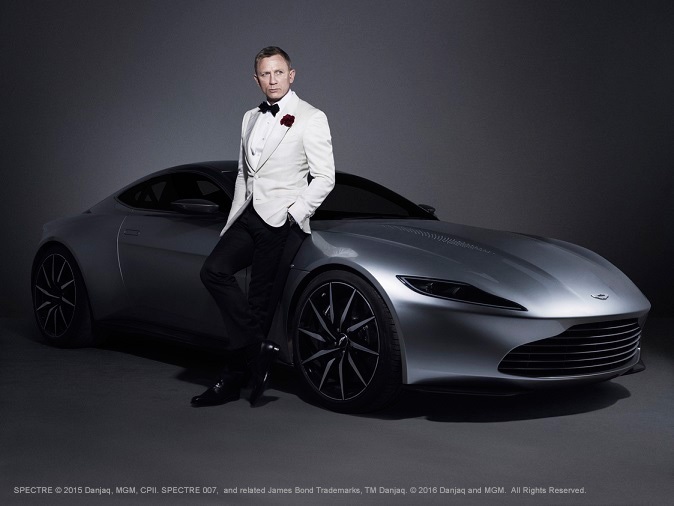 But this particular car does include a special plaque signed by Daniel Craig, who plays Bond in the movie, and was displayed at the world premiere of “Spectre” at the Royal Albert Hall in London. Aston Martin has been associated with the James Bond franchise for more than 50 years, starting in 1964 with an Aston Martin DB5 in “Goldfinger,” the third film in the series. An Aston Martin has appeared as a Bond car in 11 of the series’ 24 films. The U.S. release of the movie in the three formats was scheduled for today.